Dozens of people are reportedly injured after a van slammed into the crowded Las Ramblas tourist hotspot in Barcelona, Spain. A TRUCK has ploughed into pedestrians in Barcelona leaving dozens injured. 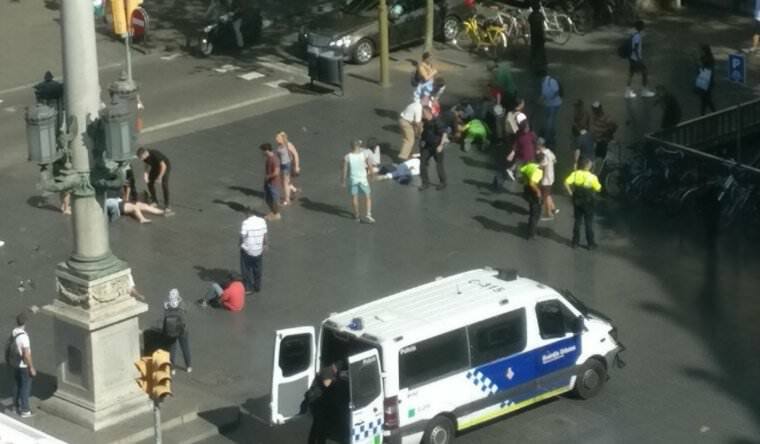 Eyewitness footage and photos from the scene show a huge emergency response after the smash near the busy Las Ramblas tourist hotspot. People have been told to avoid the area as emergency services reacted to a “serious incident” in the Spanish city. Metro lines have been shut and shoppers and pedestrians have been seen running into buildings as armed police flooded the area. Barcelona is one of the most popular summer destinations for British tourists.